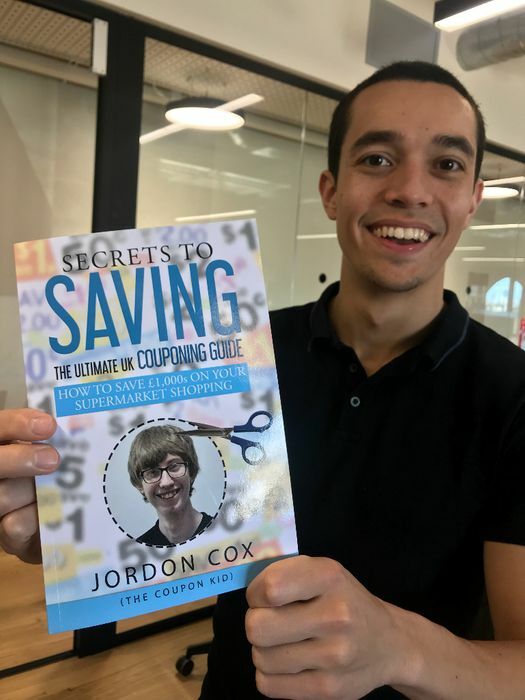 Jordon Cox's - Secrets to Saving - Unlimited Guide to Couponing! Jordon Cox the coupon kid has launched his own book and you can get it on Kindle right now for £2.99. The Coupon Kid is spilling his secrets to saving £1,000s on your supermarket shopping bill. It's packed full of brilliant tips and funny stories like learning how to get your groceries for free, potentially make a profit and never pay full price again. Follow all the steps to become an extreme couponer and cut over £1,000 a year from your shopping bill! I'm at the point now where I feel bad when paying full price... What is this? I'm saving royalty, I can't pay peasant prices! Nonsense! Got already coupon kid got me money saving years ago . Wishing Jordon speedy heath recovery . In the spirit of Jordan Cox, I got it free with a kindle unlimited free trial.